The De Havilland Vampire was the UK’s second operational jet fighter. It first flew in September 1943 and entered service at war’s end. It was too late to see active service. One of the early customers for the aircraft was the Swiss Air Force which, initially, used it in its intended rôle as a fighter but later relegated it to training duties. The aircraft remained in service until the last were retired in January 1990. Many of these aircraft were converted as ‘Target Tugs’. They were fitted with under-wing pods from which a drogue extended. 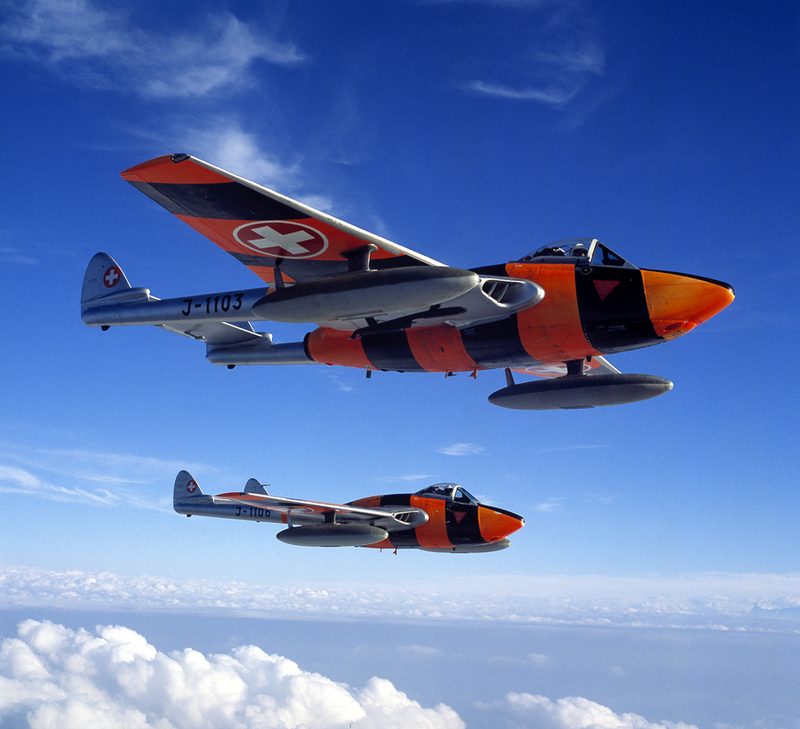 Fighter pilots would then shoot at the target with live ammunition … hence the bright colours of the Vampires to ensure that they aimed at the correct end! These two aircraft were being flown by a couple of Swissair Captains during their annual military training in October 1989.